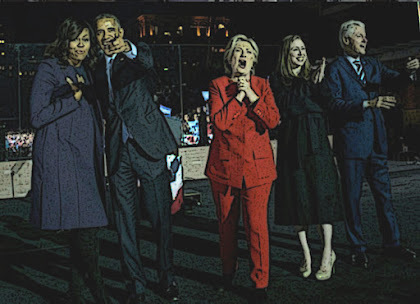 Doug Ross @ Journal: "The danger and destruction this propaganda press is visiting upon America cannot be overstated"
"The danger and destruction this propaganda press is visiting upon America cannot be overstated"
It wasn't just Collusion, it was also Red Baiting. Let's let Hillary explain in her own words why she thought this was a good idea. If the Federal bureaucrats and politicians who participated in SPYGATE are not prosecuted for their crimes, we are only encouraging similar crimes in the future. These people must be tried in court and GIVEN THE HARSHEST SENTENCES POSSIBLE so that NO American will be willing to take the risk of committing these scandalous acts in the future. Any idiot can write an article now? CW-- Apparently any idiot can comment now. Instead of insults, a refutation of the facts stated above would suffice. Even just one refutation of just one fact would suffice. Now go and find some answers to cut-and-paste from Occupy Democrats Website.